Picking limits – 193,000 lbs at 32-feet (max pick off a river barge), 140,000 lbs at 40-feet, 103,000 lbs at 50-feet, 81,000 lbs at 60-feet. The Port’s location next to US Highway 12 allows to direct link to markets in Montana, while Port’s proximity to US Highway 95 allows for links to Boise, Idaho, and US-84 to the South, and Spokane, Washington and US-90 to the North. We are open for business! As part of our nation’s “Marine Highway,” the Port of Lewiston, strategically located, is at the farthest end of the Columbia-Snake River System, 465 river miles inland, and offers an equitable, alternative route for bulk cargoes destined into Canada, Wyoming, Montana, North Dakota and beyond. Container on barge service is temporarily suspended. However, starting in Jan. 2018, the Port of Portland announced that Swire Shipping will begin offering container and general cargo service at the port’s Terminal 6. Hopefully, the resumption of container service at Portland will lead to the return of container on barge service on the Columbia-Snake River System. Please contact Kim, Port of Lewiston Traffic Manager, at 208.743.3209 to inquire about container shipping status. Container barge service began on the Columbia River in 1975 with an average of 50 containers per month barged into the Port of Portland. 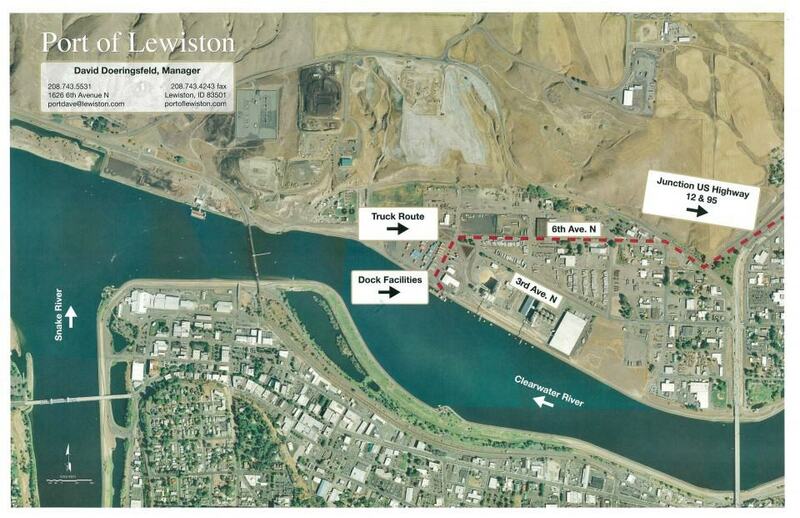 In 1978 the Port of Lewiston began shipping containers on barge, moving a total of 507 TEUs for the year.